omg i’ve been craving mojitos. Mainly just the club soda, mint, and sugar :). I’m making strawberry ones tonight with strawberries we picked yesterday!! Yum! Oh boy, these look like they could help cure all of life’s little problems. They scream summertime and patios! Can’t wait to make them :)! I hear, I really do. BUT, step back and look at all you’ve accomplished at 29. Now, remember how awkward you were at 19? Remember college parties, playing the ‘I like him, but I don’t want him to think I’m needy so I’m going to pretend I don’t like him, but only sometimes?’ Yeah. Not fun. I can’t wait to turn 30. I want to celebrate and say goodbye to my awkward 20s. I’m 29 for 8 more days. Then I’m 30. That’s going to be a weird number to look at. Seriously? I don’t mind 29. I could probably have 29 of these on a really hot day. Or a mild one. Looks amazing as usual. Ooh what a great summer cocktail! It’s like pina cooladas and mojitos had a delicious lovechild! I am in the same boat with the age thing…as are a lot of my friends of the same age. We are not freaked out about getting older but freaked out that it somehow sneaked up on us (or is it snuck up on?). Any who… Why does 29 feel so much older than 27 or 28? It is nice to find that others are thinking the same way as I! Was 19 really ten years ago?!? I need a drink. Jessica, I seriously keep waiting to run into you around town! I’m always at the Eastside Trader Joe’s, and I was in the Shadyside Sephora on Friday having a concealer crisis. I have the Benefit Hello Flawless, which I love, so maybe I should give the erase paste a try. I spent waay too much on Diorskin, which did nothing to cover up my permanent dark circles (thanks mom), and even my oblivious husband said I looked worse than normal (thanks husband!). So back it goes. A house of lies? You crack me up. This looks refreshing! Thanks for sharing! ahh i’ve been dying for you to make calzones thank you!! i am making these ASAP!! That looks incredible! Have no fear – the 30s and 40s are GREAT! I barely remember 29! I literally had a screaming break down because I *thought* I found a single grey hair yesterday. The key word *thought* because it really was just a blonde hair (or this is the lie I have convinced myself). BTW, I love the last pic! That ice looks so beautiful! Wink. Wink. This looks very refreshing and great for a warm day. Thanks for sharing! 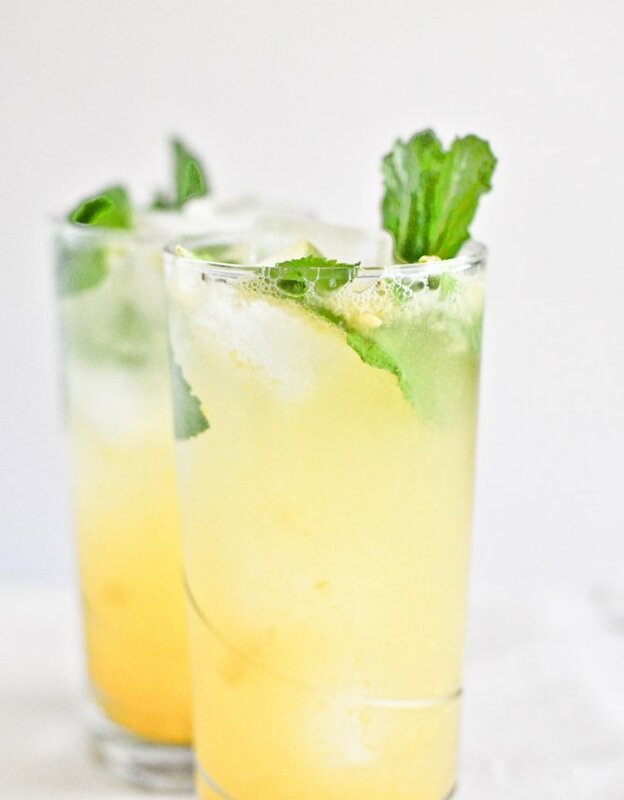 Mojitos are my favorite summertime drink, and I like this coconut mango spin on the classic. I will be trying this out! Funny how the numbers creep up whilst you’re having fun. very nice for the summer!! Try ebay for your erase paste. You’ll spend less than 1/2 the $. I love that stuff!… and 30’s not so bad! 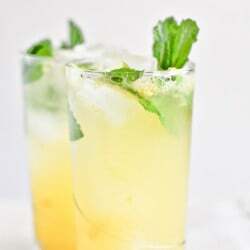 OMG, cannot wait to try this – been looking for a mango mojito recipe and you just made it perfect with coconut – yum! Thanks for sharing! I love coconut mojitos. Hadn’t thought of mixing in mango. Clearing time on Saturday’s calendar…. I’m 29…for another 6 days, then …it gets worse. I can definitely understand where you’re coming from! It sounds like these mojitos are something I need to enjoy while I’m still in my 20’s.